The primary domain is the website address (URL) shown in the browser address bar. In order to set your domain as the primary domain for your website, you must have active Premium services. 1. 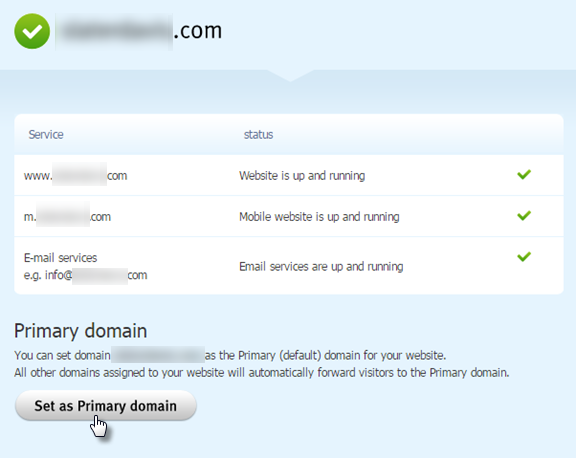 You are able to set your domain as the primary domain directly from the website editor by clicking SETTINGS. 2. 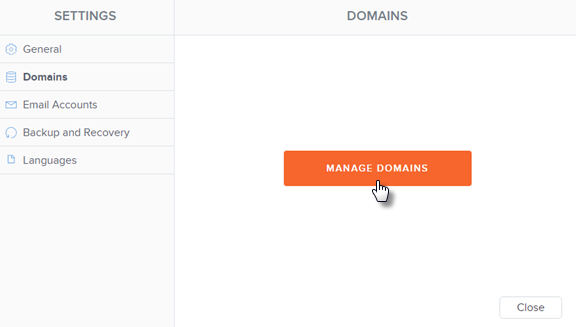 In the Domains tab, click MANAGE DOMAINS. 3. Click on the domain that you would like to be the primary domain. 4. Click Set as Primary domain. 5. 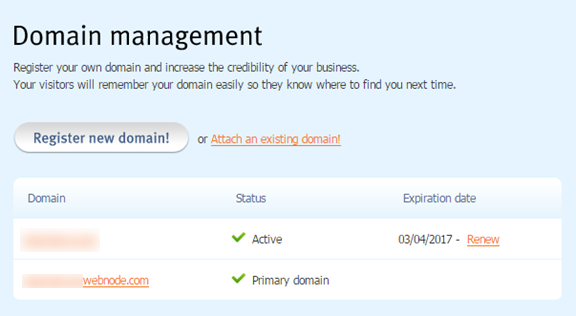 That domain is now set as the primary domain. 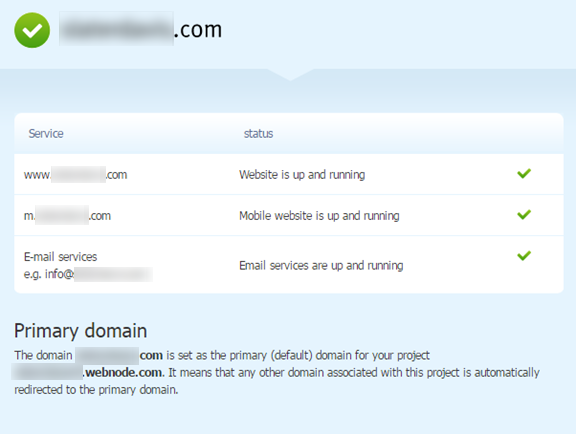 Tip: If you have purchased your own domain and a Webnode Premium Plan, you are able to create your own email accounts.